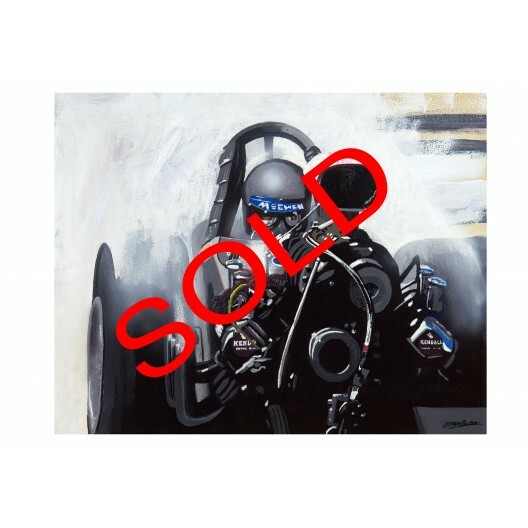 11 x 14 acrylic,gouache painting of an early Tom McEwen Top Fuel dragster on hardboard. No framing required. Extra shipping cost on this item.